Anderson, Ind. 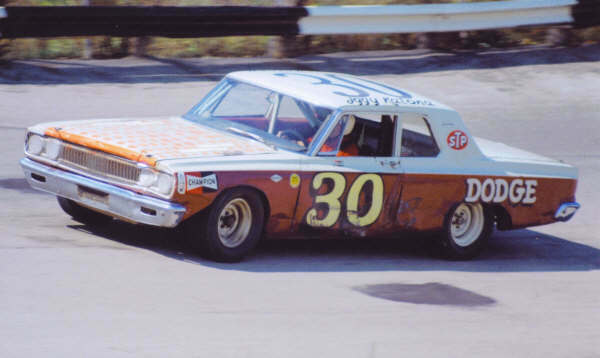 (July 15, 1967) - Veteran stock car campaigner Iggy Kalona of Willis, Mich., won the first annual Redbud 500 at Sun Valley Speedway Saturday night in a 1965 Dodge. The stocky Michigander held a comfortable lead of seven laps over runner-up Paul Wensink of Deshler, Ohio, when starter Butch Brooks dropped the checkered flag at the end of 500 laps. Katona covered the 125 miles in 2 hours, 19 minutes, and 17 seconds after tying with Les Snow of Bloomington, Ill., for pole position on Saturday afternoon. Snow and Katona both ran the quarter-mile in 14.64 seconds during time trials but Snow got the pole by virtue of qualifying first. Snow, driving a 1967 Dodge Charger, moved out from the pole to grab the lead as the race got under way, Charles Glotzbach and then Herb Shannon of Peoria, Ill., moved into second, with Katona third. That’s the way it stood at 100 laps, and 62 laps later Katona moved up to in position to challenge Snow when Shannon went to the pits. Katona stayed at Snow’s bumper and the two went into the lead on lap 251 when Snow pitted. Snow came back out and a few laps later got the lead back when Katona had to stop for fuel. Snow was back in the pits on lap 271, and he never came out. From then on it was Katona all the way. At the 300-lap mark, it was Wayne Fisher of Bloomington, Ill., in second, with Wensink third. Fisher then dropped out of the race and Wensink took over second and kept it the rest of the way.